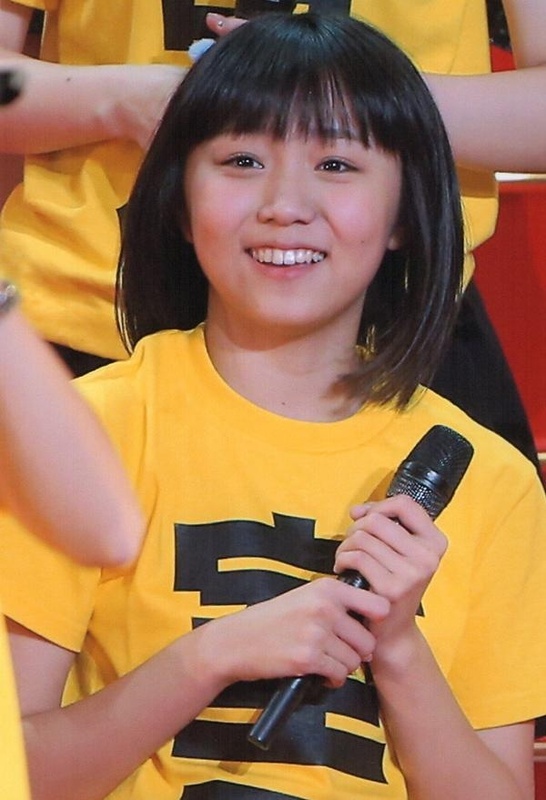 How did you feel when you found out you were told you were joining Angerme? I’m fooled very easily, I didn’t even notice when Wada Ayaka and Fukuda Kanon walked into the room (they were the one’s surprising her with the announcement). When Wada-san said “I have something to report,” I finally thought to myself “Maybe it means…”. Before the announcement I had started getting anxiety every day thinking about what group I might get put in and if I might make my debut. When it was announced that I was joining a group, I was really, really, happy. I cry easily. When I watched the new Kenshuusei Unit announcement, I started crying too. 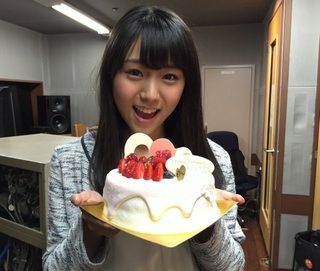 I immediately texted Hama-chan (Hamaura Ayano) “Congratulations!”. In your family, who had a good reaction (to the announcement)? My Grandpa. I called him via phone-video chat and told him. “Grandpa! I have been chosen! 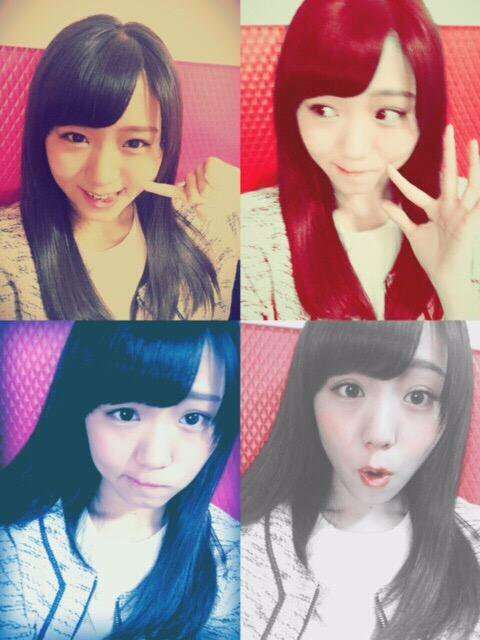 I’ve been chosen for S/mileage!”. My grandpa was so surprised by what I said he just looked stoic…but after that it spread to the rest of my relatives. Now, he is excited and says “I’m going to go to a handshake event!”, but I want to say “Don’t comeeee…”. Please tell us when you decided to become an idol. 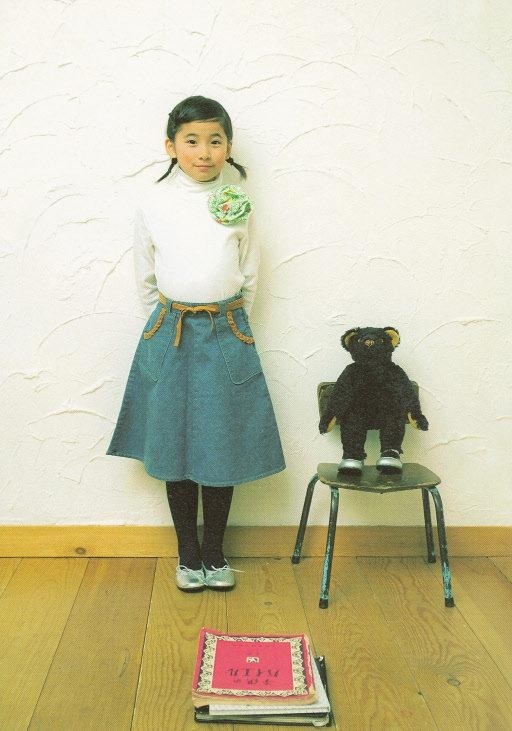 When I was old enough to be aware of things, I realized “My dream for the future is to become an idol,”. 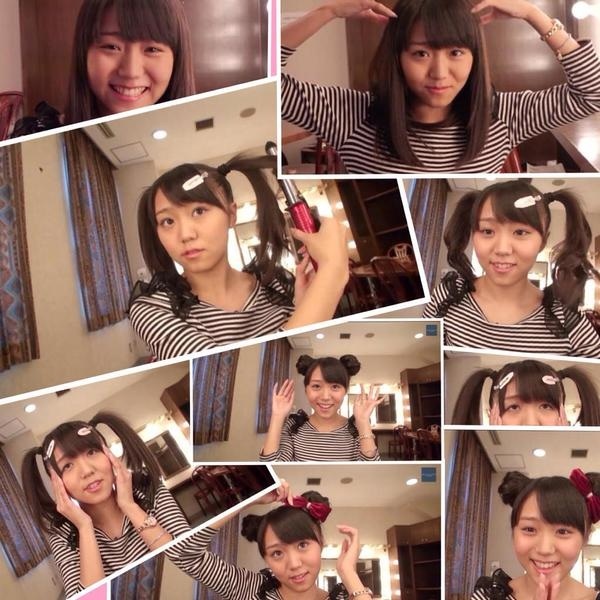 So, I went to lots of auditions, and eventually auditioned for S/mileage’s 2nd generation auditions. 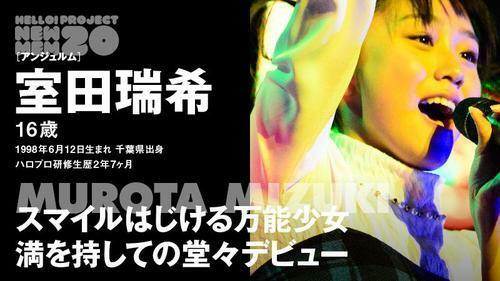 I had failed the audition, but my mother said “There is also a Kenshuusei audition, are you going to try to pass that?”. I responded “I’ll try, I’ll try,” and I passed. What was the hardest thing that has happened since you started working? The hardest thing was definitely getting overtaken by my juniors. Juniors would join gradually and even though they were younger I felt like they were better at singing and dancing then me. It was really horrible. To reverse the question, what was something that made you happy? Over time, as I got more experience I had developed more fans, and that made me happy. At handshake events, more and more fan’s would say “I’ve become your fan now,” and everytime it would make me happy. 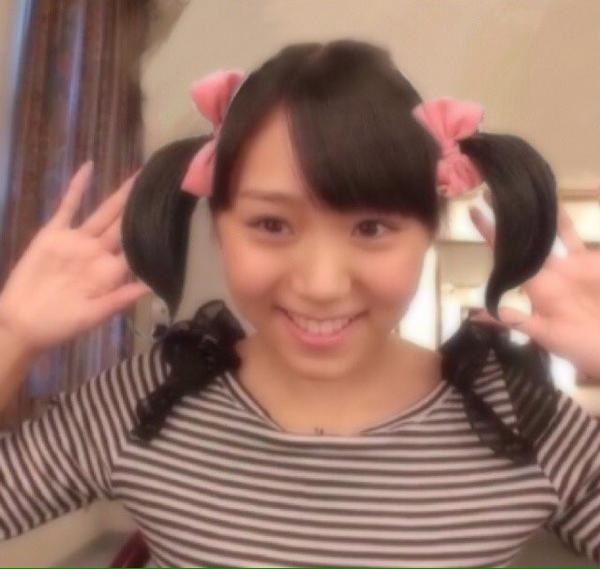 About 6 months after you joined the kenshuusei you got to perform in Morning Musume’s “Morning Musume 15th Anniversary Commemoration Concert Tour 2012 Fall ~Colorful Character~” tour, right? Yes. 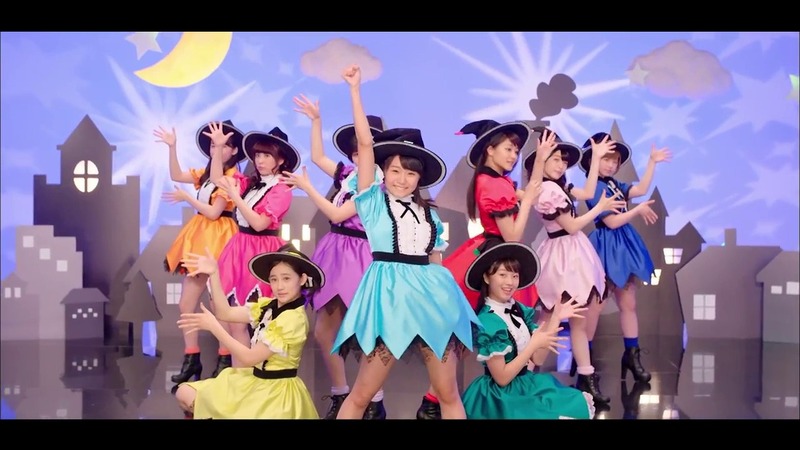 I was able to be a back up dancer for Michishige Sayumi’s solo song “Lalala no Pipipi”. I couldn’t keep up with the dancing, so I had no idea why I had been chosen. At rehearsals I would get angry when they would tell me to “Please sing properly,”. Back up dancers don’t sing, so I started thinking the whole thing was impossible for me, but I just didn’t understand anything back then. At that point you had overtaken your seniors, being chosen for a big part that could have gone to them. Yes. I’m sure my Senpai thought “Why’d it go to a new member”, although I don’t really know. Everyone was nice and told me “Good for you,”. At that time I had no idea what to think, but either way it was fun. What is like to be able to join (Morning Musume on their tour)? I rode a bullet train for the first time! I got to go to a lot of different places because of the tour. But again, I really didn’t understand anything and I had to be shown how to buy tickets and such. It was also my first time to stay in a hotel room alone. I didn’t even know how to turn the lights. There was a slot where I was supposed to put the key card in to turn the lights on, but I had no idea. I had to ask my manager. When they did it I said “waa! It turned on,”. Within Hello! Project, is a song that you like that would show off your experience? 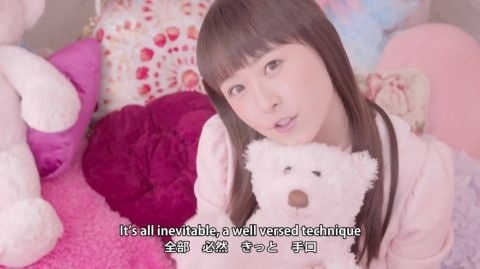 Morning Musume’s “Memory Seishun no Hikari.” You have to sing it by yourself, and it’s a ballad, so I like it. Then, is there a song that you would like to perform with others? 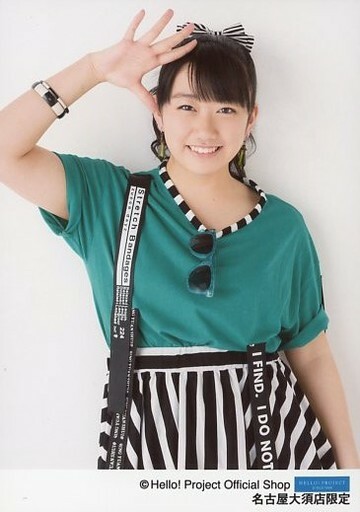 Morning Musume’s “Ooki Hitomi”. We have talked about performing it at an Angerme 3rd generation event. 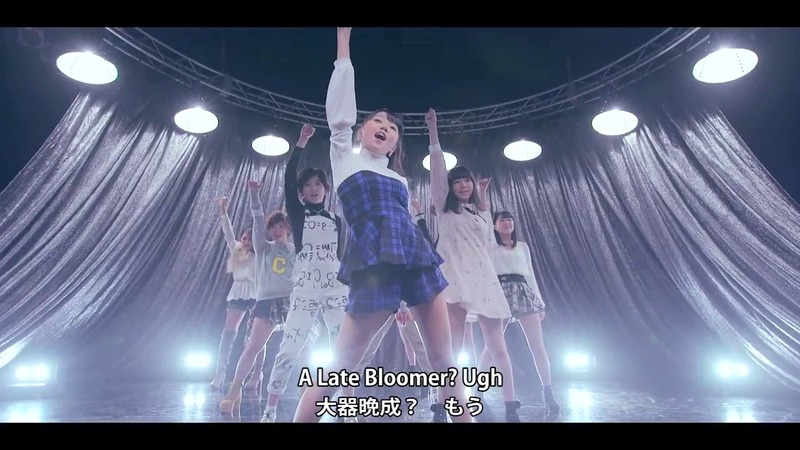 Is there a difference from when you are at school or when you’re doing Angerme activities? I am the same. Although when I am at at school with my friends I feel more childish. What are you called at school? 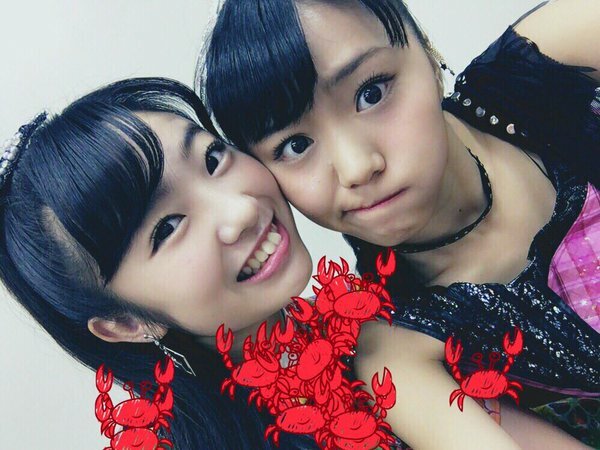 Do you have a rival within Angerme? Yeah….everyone. Wada-san is my rival with her natural cuteness, and Tamura-san is my rival with her singing, but I feel like everyone is my rival. Have you noticed any of the other new members in other units? 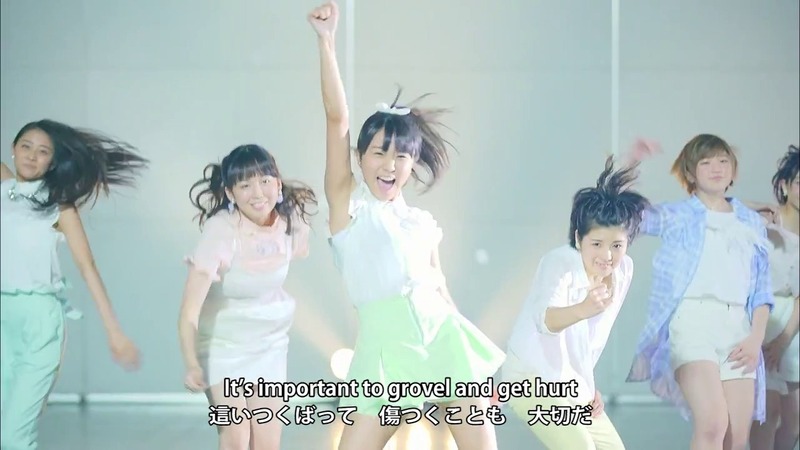 Lately, I have really been watching Nomura Minami. She has grown recently, and has become good at making expressions (on stage), I think its amazing. What is your goal within the group? I want to become a top idol. Within Hello! Project and within Angerme, I want to be at the top. Please give us your appeal. 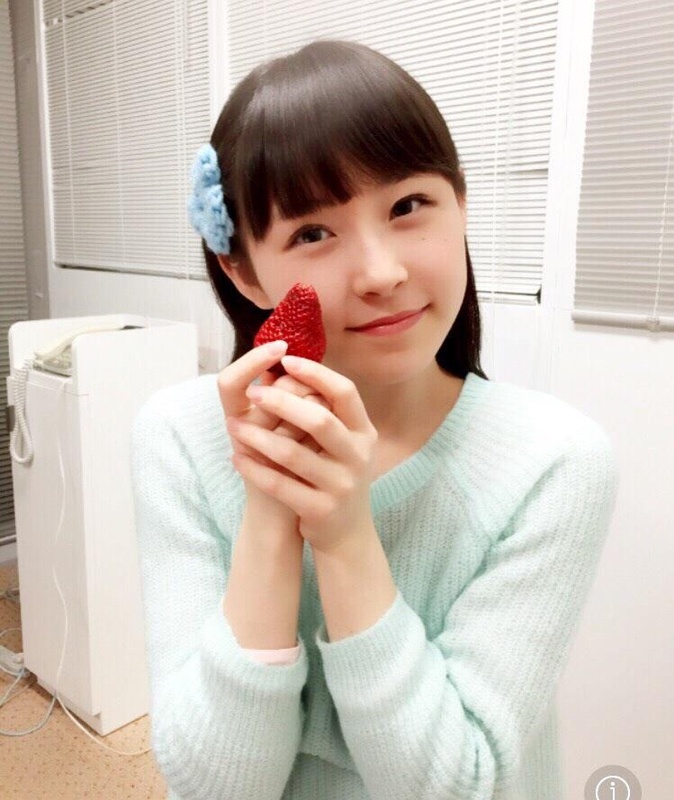 I would like to do my best to reach out to everyone through singing songs brightly as an idol. Please take care of me! CROSS-POSTING FROM THE SATOYAMA THREAD!! 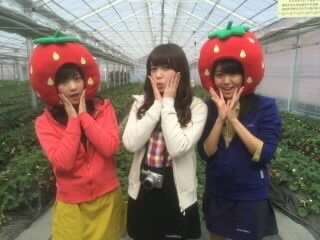 "And that concludes my report on the Japanese Strawberry Phenomenon! edition of Uta Usurps! For now, Tata!" 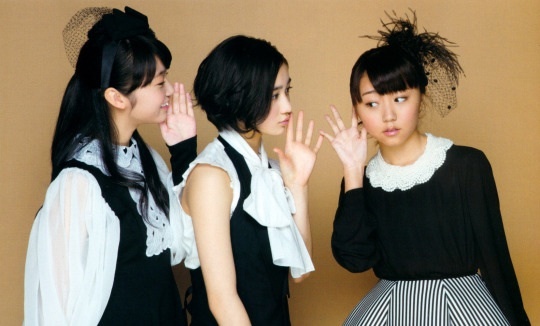 Manager: 'Sorry Maria, but we already had a feature story about the Ham Fighters"
Maho & Risako: "Ne, ne, Mizuki san....."
Risako: "Now can you hear me? 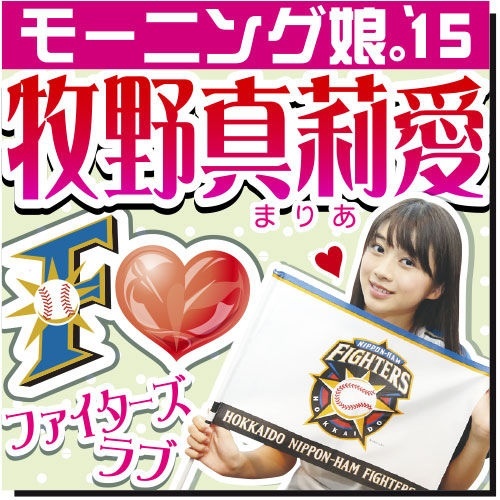 in her home of Chiba? *Each girl gets a little over 2 minutes in this digest video. Weird Dance Battle! Momo VS Murotan VS Kananan!